Not a donor yet? It's easy! 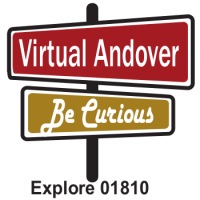 At the Andover Center for History & Culture, donors support our mission of building community through local stories. They stand with the history center, knowing that when people are connected with to the place they live – or the place that inspires them – we make the world a better place. When people are connected to the community that inspires them, they care more about the people and places that make up that community. Bringing people together around local stories creates connections that are invaluable. We work together to foster a vibrant and engaged community by connecting people through the stories held in our collections........stories that speak to our shared humanity. The pride of accomplishment is held in papers documenting a small business saved by family members of the founder. The pain of a mother's loss is held in the handmade dress she carefully packed away after her infant daughter died in an epidemic. The joy of driving a first new car is held in photographs from the early 20th century right through to today. All of these stories are ready to be shared. You can help to bring them to light. Our donors are Heroes. You make all this possible. Thank you! 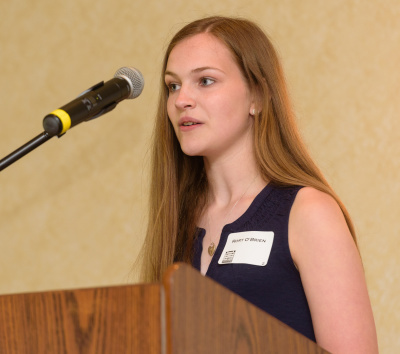 Andover High School student Rory O'Brien telling her story of curiosity and discovery at Spring for History, June 2016. You can now make recurring gifts through our Donate page! You can set the frequency and amount of your gift.